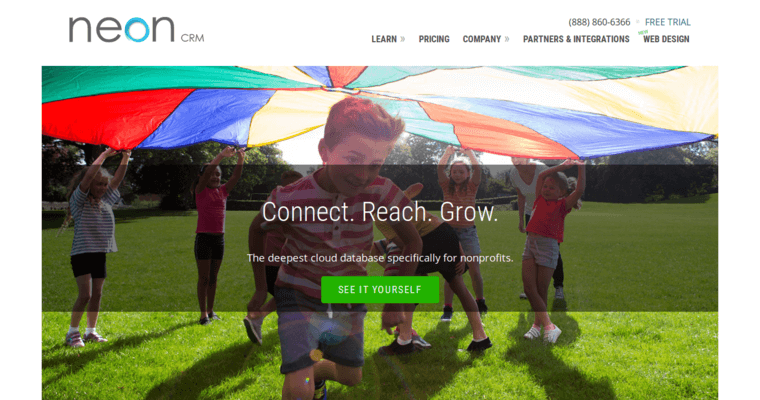 Neon CR is the non-profit CRM software that makes it easy to do good things. This software is already the backbone of some of the most successful organizations in the world, so why not make it work for you? 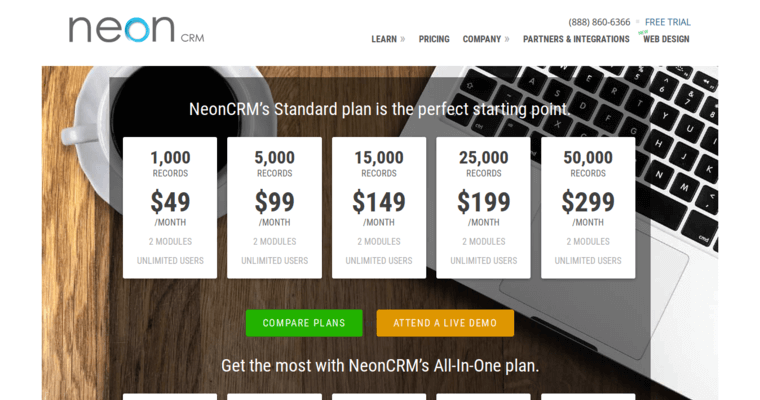 Neon CRM can simplify and automate most of the repetitive tasks in your organization while tracking performance in every area. For example, the collaborative cloud-based interface can unify diverse teams of volunteers, regardless of where they live or work. Similarly, the mobile applications that work with Neon CRM create a smooth experience for volunteers who can schedule their times without burdening your human resources. Similarly, the donor tracking module learns how people behave and schedules donation requests, follow-ups and "thank-you" actions at the precise moments that encourage more benevolent behavior. 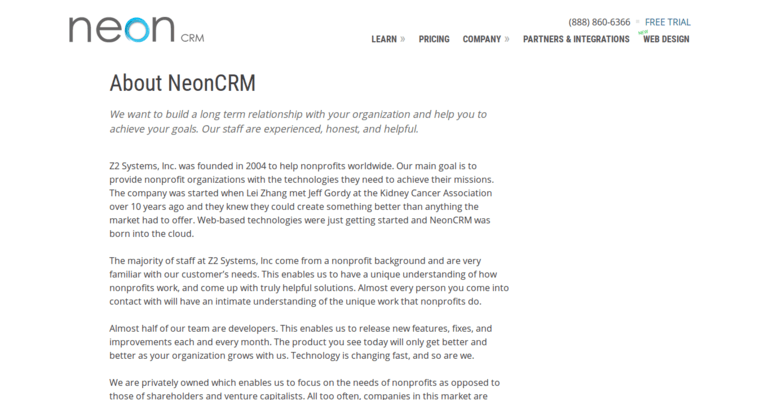 Meanwhile, Neon CRM can streamline event planning and media interactions and help teams collaborate on grants.